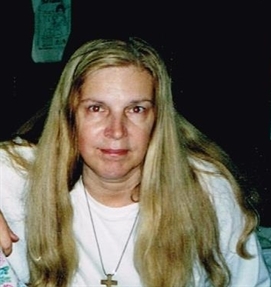 Joann L. Roach, age 68 was born on in Hamtramck on April 2, 1950 to Henry and Stella and passed away on March 25, 2019 in Harrison Township. Dearest mother to Michael (Rachel) and Michelle (Mike) Nizza. She is also survived by her brother Walt and his children. Joann will also be missed by her 3 grandchildren. She was predeceased by her husband Tom in 2017. Joann had a Bachelor’s Degree in Business Administration from Northwood University and was working on her MSW from Wayne State University before she got sick. She loved to watch TV, shop at thrift stores and was an animal lover, especially her dog “Jackie”. Even though she has been called to Heaven, she will be missed by all her family and friends who knew and loved her.